Bark mulches are favored by gardeners throughout the world because they are organic, inexpensive, and easy to use. 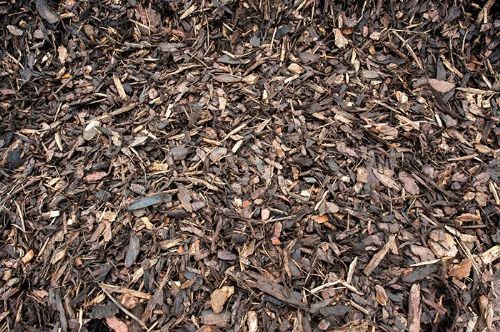 North West Aggregates’s ornamental bark mulch in the North West is an attractive, top quality mulch which can be used in all your flower and vegetable beds and around trees. It is also excellent for woodland paths. Mulches are used to conserve soil moisture and prevent weed growth. While decorative gravel can serve as a moisture conserving mulch, bark mulches tend to conserve more moisture and are best for ferns and other moisture loving plants. Organic mulches, such as bark, deteriorate over the years adding matter and nutrients to the soil. North West Aggregates’s Ornamental Bark is a mixture pine and conifer barks which have been graded and matured. It has a slower rate of decomposition than many other bark mulches and it is attractive as well as serviceable. Should I use a weed barrier fabric in conjunction with mulch? While a thick layer of mulch is a good weed barrier, for extra protection we recommend putting a weed barrier lining in place before you install your mulch. Natural burlap fabric makes a great weed barrier and is organic, so it eventually deteriorates and adds nutrients to the soil. Durable polythene mesh weed barriers may also be used. How do I keep my mulch from spreading outside of my flower beds? Edging and landscape timbers are good ways to keep mulch within flower beds. An outside border of decorative gravel or cobblestones can be used against a metal or plastic edging. How deep should my mulch be? We recommend spreading mulch to a minimum depth of 75 mm (3 inches). A large cube of Ornamental Bark Mulch will cover an area of about 12 square metres at a depth of 75mm. How often should bark mulch in the North West be replaced? Bark mulch never needs to be “replaced” per se. It simply needs to be maintained at an adequate depth. If your current mulch is less than 75mm (3 inches) deep, try adding quality mulch over it. Some people like to use the same type of mulch, but you can mix them. Ornamental mulch can be layered on top of ground up mulches. North West Aggregates’s Ornamental Bark is available in cube bags (750 ltrs), large bags (40 ltrs) and in bulk. A cube bag covers an area of approximately 12 square metres when used at a depth of 75 mm. Our brilliant bark chippings cater to the needs of gardeners across the whole region, so if you're looking for bark chippings in Blackpool or Burnley for instance, look no further than produce.